The Witness Trees tells through poetry, eyewitness accounts, and a moving historical narrative the tangled web of Lithuanian Jewish history. David Wolpe, a powerful Yiddish poet and writer, reports on the events during the summer of 1941 when the Jews of Keidan, a Lithuanian shtetl (village), were systematically massacred by local townspeople. Dr. Dovid Katz provides a historical context to the rich heritage and contributions by Lithuanian Jews and Keidaners to Jewish cultural and religious life dating back to the fourteenth century. 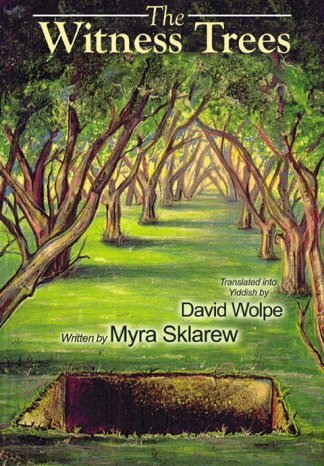 Myra Sklarew, a highly acclaimed poet, expecting to travel back to her homeland of Keidan, Lithuania, finds herself traveling back in time to the pain and death lying beneath the pastoral beauty of the countryside, making corporeal what had been a shadow tracking her since early childhood.